There will be yet another day of scattered thundershowers in Tamil Nadu amidst glorious skies and sultry weather. Due to the influence of this north south trough, the thunderstorms are set to continue over the interiors, as well some parts of coastal TN. Subsequently the action may shift to coastal parts in the next day or two and might wean out slowly in the interior regions. Rayalaseema along with parts of interior Karnataka could also experience a few heavy thundershowers. Chennai – A partly cloudy day with temperature maximizing around 34-35 C. Thundershowers possible in the evening. Madurai – Fairly hot day ahead with maximum temperatures of around 36 C. Thunderstorm formation likely in the afternoon around the city. Trichy – Searing heat on the cards as the mercury could rise up to 36 C. Showers likely in the evening. 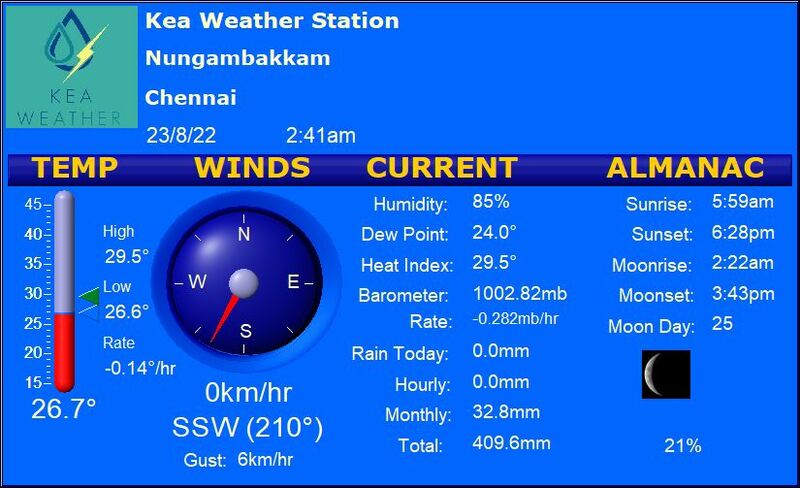 Coimbatore – Typical Kovai weather likely with maximum temperatures of around 33 C. Drizzles possible. Vellore – Warm day ahead with the temperature capping at about 35 C. Rains likely in the district in the afternoon.